Your driver will be waiting at Amman (AMM) airport to take you directly to your hotel in Petra (around 2.5 hours). No activities are planned for today. 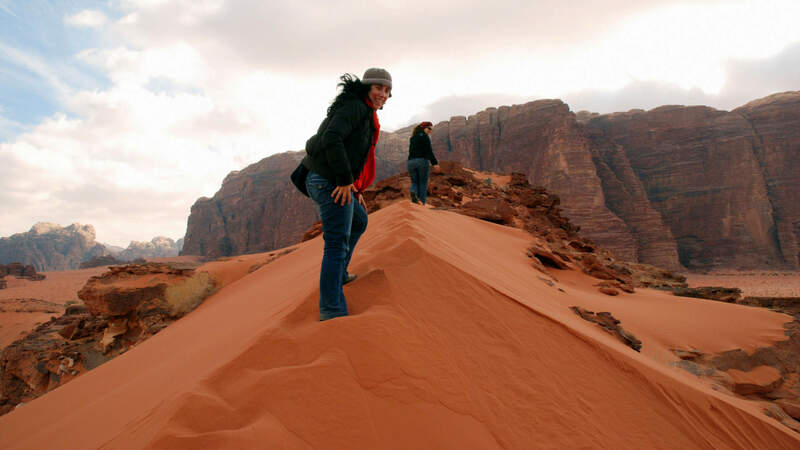 In the later afternoon you'll head south into Wadi Rum and drive out to your camp in the heart of the protected area, where there'll be time to relax and take in the sunset before enjoying a Bedouin feast of meat and vegetables cooked in the zerb, an oven of fire-heated sand and stone. If you're still not tired out by the day's adventures you can stay up round the fire, talking and laughing with your Bedouin hosts and watching the night sky. Your accommodation is a simple but comfortable Bedouin campsite, with a traditional goat hair tent divided into twin ‘rooms.' There are proper toilets and showers on the site (go easy on the water), as well as shaded seating areas for relaxing and dining. ons chipped into the rock over thousands of years. After a picnic lunch in the shade, followed by a cup of tea and a siesta, you'll drive on to the great red dune, where you can kick off your shoes and run down the soft, warm sand. In the afternoon your drivers will take you out of the desert and you'll head north to your hotel on the shores of the Dead Sea. Today you'll wake up at the Dead Sea and have the chance to float in its warm, intensely saline water. It is an unforgettable experience! 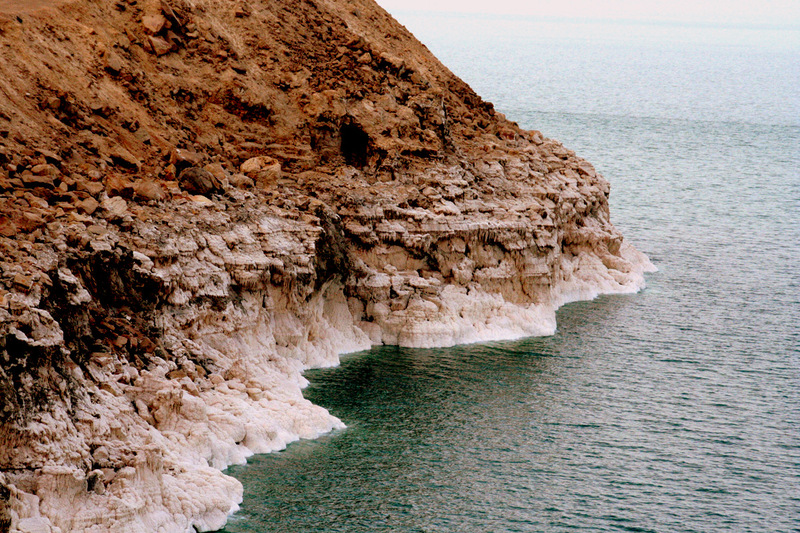 The Dead Sea is the lowest point on the surface of the earth (some 400m below sea level) and contains mineral-rich muds that have been recognized since antiquity for their curative properties. 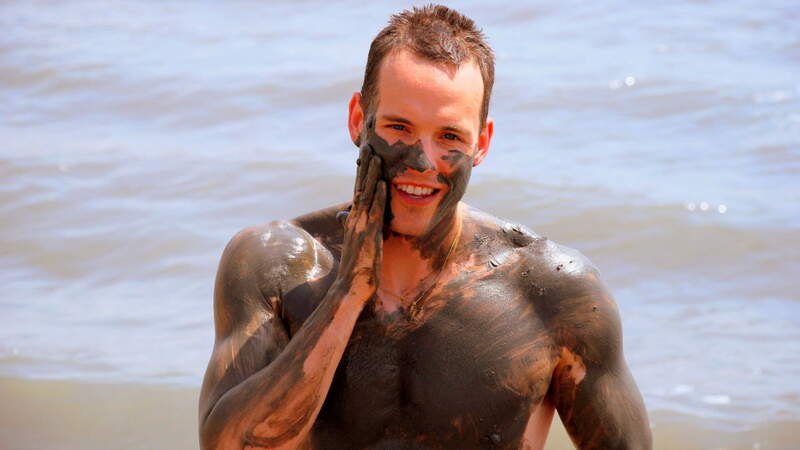 This mud costs a fortune in Europe, but in Jordan you can scoop it from the seabed and cover yourself with it! The blue water, the white salt-encrusted shore, and the red desert mountains also make this an outstandingly beautiful place. A short transfer (1 hour) will take you from your hotel back to Amman airport based on your flight time. We wish you a safe journey home, and hope to see you in Jordan again soon. Amman - Queen Alia International Airport (AMM). 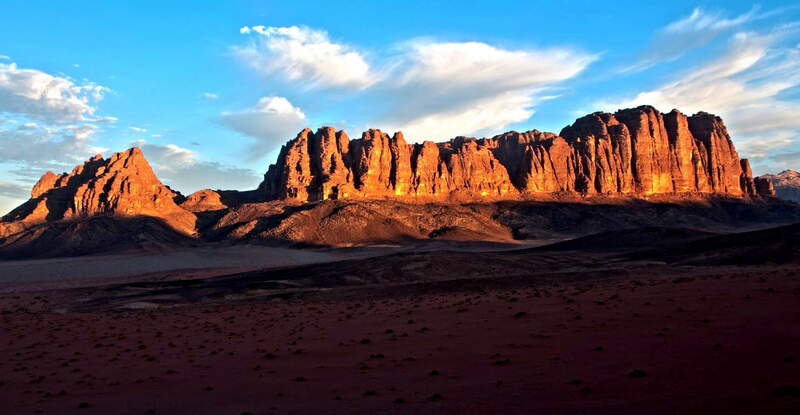 A transfer will be provided from the airport to our hotel in Wadi Musa, Petra - a 2.5 hour drive. If you are already in Jordan and would like to be picked up from a specific location, please let us know. Amman - Queen Alian International airport. A transfer will be provided from your hotel at the Dead Sea to Amman airport.